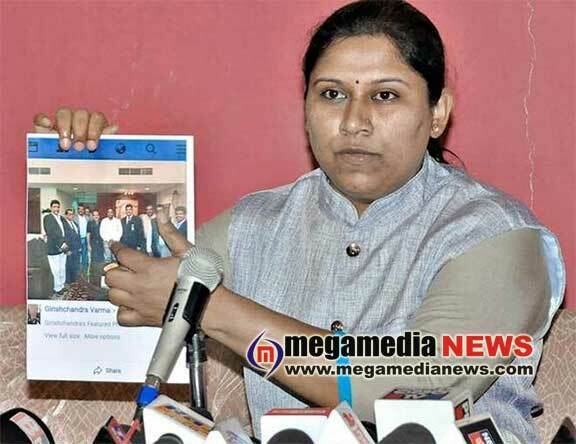 Udupi : Former Deputy Superintendent of Police and Secretary General of Bharatiya Janashakti Party Anupama Shenoy,, said on Friday that she would be contesting from the Kaup Assembly Constituency in Udupi district in the forthcoming State Assembly elections. Speaking to presspersons here, Ms. Shenoy said that she would be fighting from Kaup Assembly Constituency only. She had chosen Kaup because she was from that place and knew more people there. There was A lot of scope for the development of the constituency. The incumbent MLA, Vinay Kumar Sorake, had become active only in the last one-and-a-half years and had developed roads in the constituency, she said. Ms. Shenoy questioned the State government’s rationale in handing over the land donated by a philanthropist, late Haji Abdulla Saheb, for the Government Maternity and Children’s Hospital, to a NRI businessman to develop a super-specialty hospital in Udupi. Though she had demanded a probe into the matter, there had been no action on it. It was even strange that though the Bharatiya Janata Party (BJP) was an Opposition party, it too had been silent on this issue, she said. Her party would take up this issue during the election. There should be a probe into how Chief Minister Siddaramaiah got the Hublot wrist watch. “My party is ready to field a capable candidate from Udupi Assembly Constituency,” she said. She said that the Election Commission had allotted Lady’s Finger (vegetable) as symbol for her party. Though her party had already announced the names of 15 candidates, it was likely to field another 15 candidates, she said. She said that those interested in contesting from the party could approach it but it was imperative that they should have no criminal background and should know to read and write Kannada. They would be chosen only after a screening, Ms. Shenoy said.